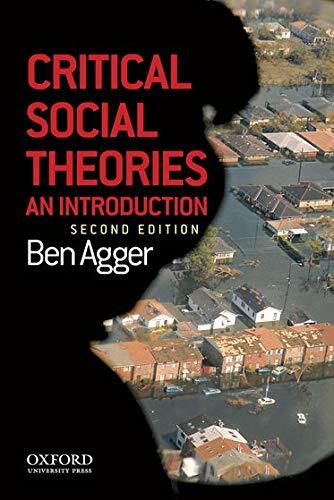 Praised for its clarity and accessibility, this fully updated edition of Critical Social Theories presents a comprehensive analysis of leading social and cultural theories today. The book addresses diverse perspectives, from feminism and cultural studies to postmodernism and critical theory. This second edition includes new chapters on the need for a new public sociology in the post-9/11 era--one that moves beyond both positivism and postmodernism. Ben Agger, University of Texas, Arlington.